Get up to 7 free auto shipping quotes from the largest, most trusted Virginia auto transport companies and save up to 50% on your car shipping rates at CarMoves.com. Car shipping companies in Virginia compete for your business, which is how you can save hundreds, if not thousands of dollars on car transport services by shopping with us. Whether you're shipping a car to Virginia, across the country, or even overseas, we can help you get the best price on your shipment - guaranteed! Read more about the following auto transport companies in Virginia before getting a quote. Click on the name of the company to read a full review. Get a free auto transport quote today to find out how much it costs to ship a car to or from Virginia! Known as the "Mother of Presidents" for being the birthplace of more US Presidents than any other state, Virginia is one of the most historically significant states in the entire country. While not a particularly large state, Virginia has quite a few residents, many of which live both in the northern portion of the state - part of the Washington, DC metropolitan area - and in the mouth of the Chesapeake Bay area. The latter area, in particular, contains many of the state's largest cities, including its largest, Virginia Beach. 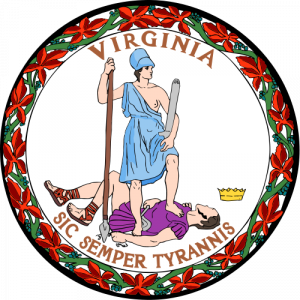 The landscape of Virginia varies greatly, running the gamut from fine, sandy beaches, to murky swamps, and to the Blue Ridge Mountains, which straddle the western border of the state. Of course, the state's many farms harken back to its primarily agricultural roots, and they still account for nearly a third of the state's total area. Tomatoes, soy, hay, tobacco and peanuts are all valuable crops produced in Virginia. Wineries are an up-and-coming market near the Blue Ridge Mountains, which also attract the requisite wine aficionados and their tourist dollars. However, despite the still ever-present agricultural industry, technology is the new major industry that brings in big bucks to Virginia. The state is now the leading exporter by profits in computer chips, much of which are produced in the northern regions. Additionally, wages at the northern border of the state are considerably higher than average as a result of the predominance of federal government jobs outside the Washington DC area. Both the Pentagon and the headquarters of the DEA, among other major federal agencies, there certainly is no lack of jobs in Arlington County, Virginia. Hampton Roads is the name of the major urban area in southern Virginia located near the mouth of the Chesapeake Bay, containing numerous major cities, including, but not limited to, Virginia Beach, Norfolk, Newport News, Chesapeake, and Suffolk. Virginia Beach is the largest among these, and has prospered as a major tourist attraction thanks to its lengthy, beautiful beach. Norfolk, on the other hand, is the area's major center of industry and business. It also contains Naval Station Norfolk, the world's largest naval base and the center of operations for US Navy forces in the Atlantic and Indian oceans, as well as the Mediterranean Sea. In fact, the military has a strong presence throughout the Hampton Roads area, operating the Langley Air Force Base and Fort Eustis in Hampton and Newport News. It's easy to see that Virginia offers jobs, experiences and fun for everyone, making it a great state to live in and visit. CarMoves.com works with car shipping companies throughout the state of Virginia. We can help you get the best prices on car transport services to the following cities in Virginia: Virginia Beach, Norfolk, Chesapeake, Arlington, Richmond, Newport News, Alexandria, Hampton, Roanoke, Portsmouth, Suffolk and many more. If you don't see your city listed, don't worry - we can get your vehicle shipped anywhere in Virginia. Scroll to the quote section on this page to compare free auto shipping quotes from up to 7 Virginia auto transport companies and save up to 50% on your move! View the Virginia Department of Transportation website for more information.